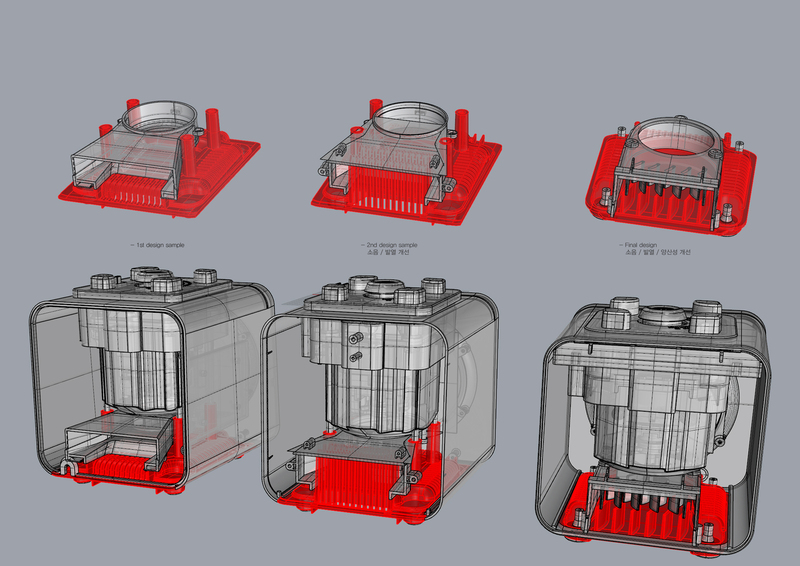 The project that renewal a Happycall’s High performance blender design. 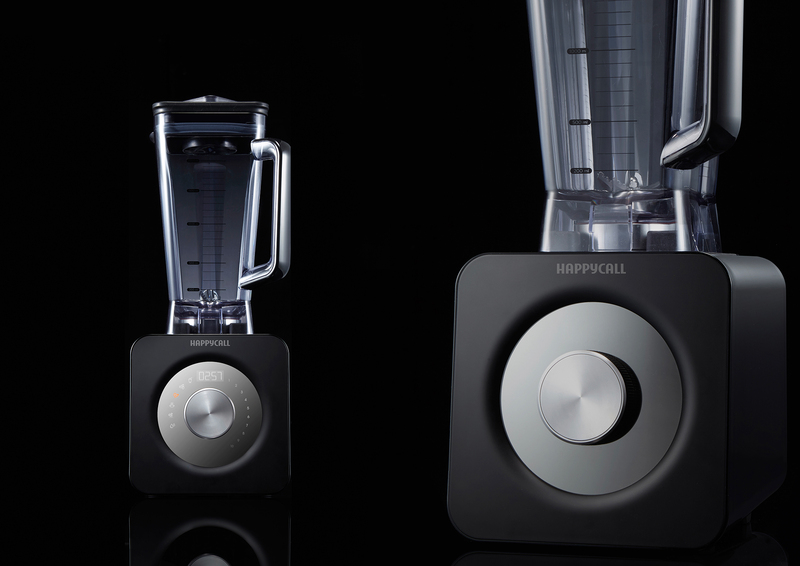 Happycall commissioned Citrus to renewal the design of a high-performance blender that was already released called Axlerim. Happycall needed a design that emphasizes powerful functionality and premium image. 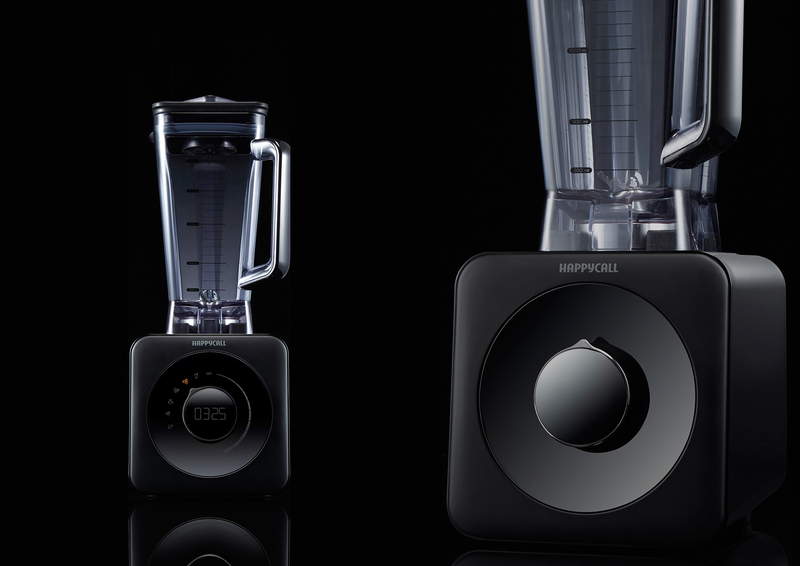 To achieve the design goal, Citrus has discovered user’s pain points and potential of design improvement through the usability tests of existing blenders and analyze the design features of premium blenders through competitor researches. In order to deliver premium & professional image as a high-speed blender, a highly readable smart operation panel, a variety of accessories and functionality, safe usability, convenience of use & store are required. Furthemore, aesthetic design is needed to cover it as a whole. Therefore, Citrus defined a design direction as ‘Premium Completeness’ and developed various design concepts following the direction. The final design has simple & refined cube form with completeness in CMFP. It drove premium image that feels stable & sturdy but strongness.